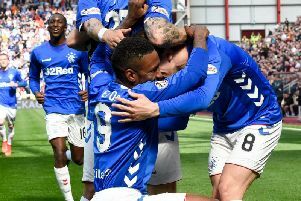 Derek McInnes admits Aberdeen will have to down a Rangers side growing from strength to strength under Steven Gerrard if they are to reach the Betfred Cup final. But while his side have struggled in the Ladbrokes Premiership the season, McInnes believes the experience of six previous semi-final clashes under his watch can give them the edge on Gerrard’s new-look Gers. McInnes - who welcomes defender Scott McKenna back for Sunday’s Hampden clash - said: “I can understand Rangers being favourites for the game and I can understand there is a lot expected of them. “I think Steven’s done a great job there and really imposed himself on the club. Rangers have always had big squads in the last few seasons but I think they’ve got a better squad, clearly. “But we feel there are big performances in us, we feel we can beat anybody on our day and we feel that to deliver another cup final appearance and chance at silverware, we’re going to have to deliver not just in possession and out of possession but also that mentality to get the job done. “We’re well past the stage of being pleased just to turn up at this stage. We’ve been there often now.